Festivalpreis additional lodging and boarding350.00 CHF Early bird tickets are available. 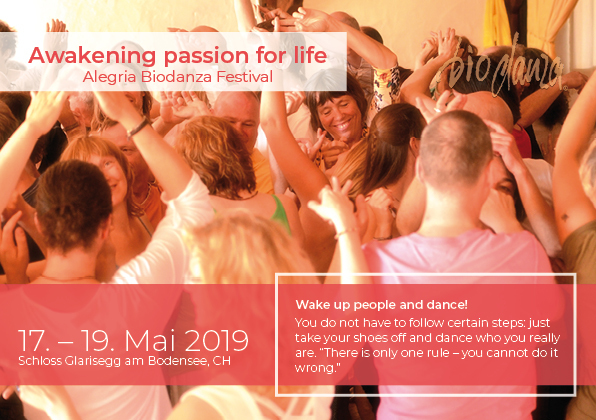 The cost of Biodanza Festival, if you register from November 1st to March 30th is just CHF 275. We are very excited to provide a memorable first Alegria Biodanza Festival experience for you.